The Salsa Grill is hosting an all-day fundraiser for Football for Life, a non-profit organization that promotes suicide prevention through the game of football, on Saturday, July 8. Co-owner and head chef, Marco Zapien is generously allowing the organization to fundraise from open to close, 7 a.m. – 9 p.m. This fundraiser coincides with a current GoFundMe campaign organized by Football for Life, which seeks funds to help teens living on the Pine Ridge Indian Reservation in South Dakota. According to Joe Pina, a volunteer at the reservation, 2015 was declared a state of emergency on the reservation due to a rash of teen suicides. On Pine Ridge, 97% of the population lives far below the U.S. federal poverty line, and the high school dropout rate is 70%. The unemployment rate is upwards of 90% due to the lack of industry, technology or commercial infrastructure on the reservation. 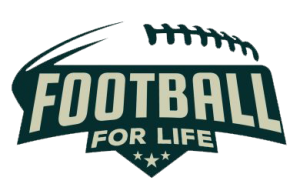 The Football for Life group is comprised of former coaches and players who believe the game of football was instrumental to the success they have achieved in life. The founders and directors of Football for Life know from personal experience the vital impact of youth sports participation. Specifically, participation in football can provide the tools to successfully transition to adulthood. Salsa Grill patrons and football for Life supporters should mention the fundraiser to their server and a portion of that bill will be donated to the organization on that day. No flyer is required. Chef MZ is an avid supporter of many non-profits, including sports organizations and schools in the Pico Rivera community, and the support for the reservation in another state shows his overall commitment to helping others. 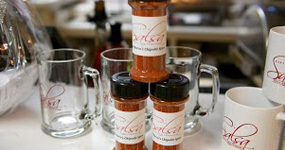 Click here to view The Salsa Grill’s menu. Th e holidays and winter are not the only times of the year to give. Last week, thanks to Zapien’s Salsa Grill and many contributable donations, more than 350 people were fed on Skid Row. Chef Marco Zapien brought together his restaurant, The Salsa Grill, and Compassion Covers: California to feed those in need in Downtown Los Angeles. This is the first event in a continued partnership between The Salsa Grill and Compassion Covers: California. Chef Zapien donated a $500 check and gave his time, with other volunteers, to make more than 250 bean and cheese burritos to distribute. 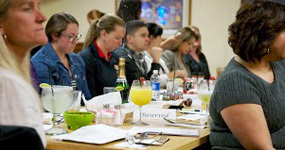 All will continue as partners to assist organizations throughout the greater Los Angeles area, including Skid Row, with generous charitable donations of time, food and money. This will continue throughout the summer and the rest of the year. This was also Compassion Covers: California’s first outreach for the summer that also brought along Paul and Joe Viele from Viele & Sons for donations of additional food, water, tables and canopies. Compassion Covers: California seeks to help with the needs of those battling poverty in the streets. They strive to offer relief in the form of personal hygiene products, new blankets, food, and other various contributions donated by themselves and their partners. For the ninth time, Zapien’s Salsa Grill & Taqueria was voted Los Angeles’ Best Mexican restaurant by patrons. During the month of August, Los Angeles restaurant lovers were able to vote for their favorite LA-area restaurant via LA City Voter’s website, in conjunction with the Los Angeles Hotlist. The Salsa Grill was amongst 20 other Mexican restaurants nominated for the honor, and for the ninth straight competition took the top spot.